Network Programming can be done by using the Python programming language because Python libraries will make the network programming very easy to understand. Python will provide the different levels to access the network services. It allows to implement the servers and clients for wired and wireless protocols. Professionals or beginners who wants to learn the Python based Network Programming online course, this is most favourable place to select the courses. From these online courses you will understand that how to automate the configuration of the network devices by using the Python. Students will also understand that how to use the pyntc for network programmability and also learn the network automation appliance. 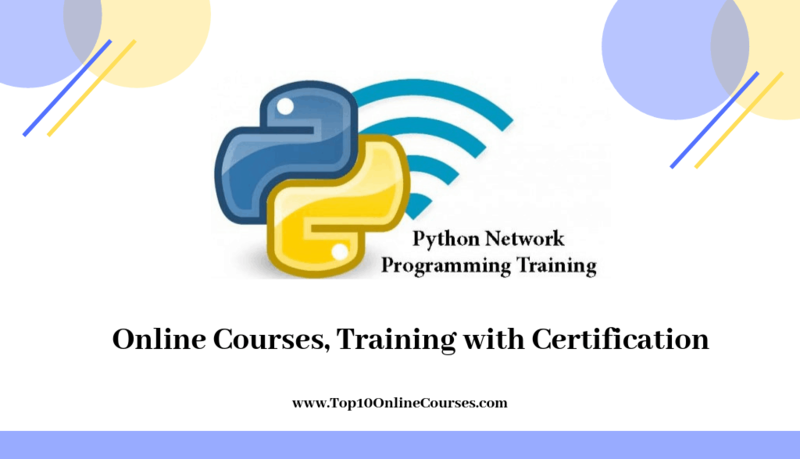 Now a days there are many Network Programming with Python online courses, from those our experts of panel picked a few best Network Programming with Python courses, which are listed below. Python 3 Network Programming online course is offered by Mihai Catalin Teodosiu (Python developer) and Python Tutorial I/O. 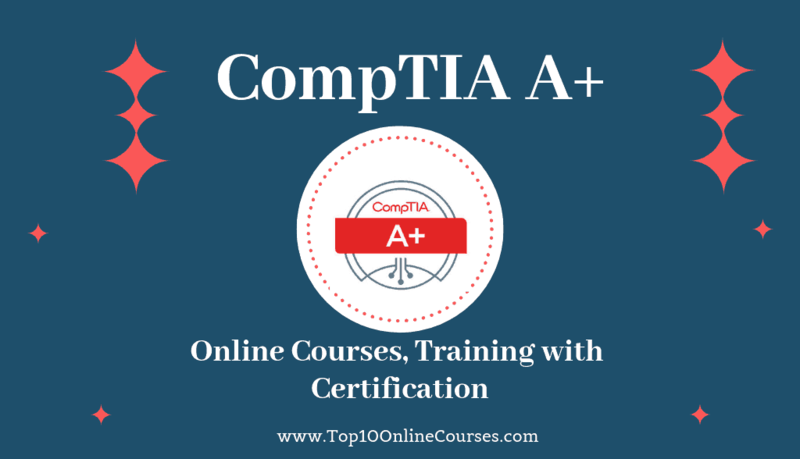 This online course includes full time access, 81 articles, ten hours demand video, eight downloadable videos and at final stage student will gain certificate. You will know all the key concepts of Python version 3. You know how to establish the SSH to network devices and you know how to extract the parameters such as utilization of CPU, real-time graphs for monitoring. Students will know how to use the Python 3 for capturing, analyzing the network packets like ICMP, BOOTP, ARP. instructors will explain that how to use the Python 3 modules, commands to connect the network devices. First of all instructors will focus on basics of Python 3 like installation steps of Python 3, scripts, user input, variables, data types, keywords etc. you will know the Strings concepts like methods, slices, formatting and operators. And students will know the Numbers and Boolean concepts such as Python 3 boolean logical operators, math operators. From Python 3 you know the Lists concepts like slices and methods. By the Python 3 you will learn the Sets concepts such as sets methods, frozensets and from Tuples you understand the different tuples methods. You will understand the Ranges and Dictionary topics like methods, conversions between the data types and so on. You will also learn the conditionals, loops, modules, functions, file operations, objects, classes inheritance and you also know advanced tools and concepts like Lambda functions, threading basics, decorates, Itertools, generators and you will know how to install the virtualization software on Linux, Mac OS and Windows. People who are interested to learn how to apply the Python Programming to network automation and network programmability, this online course will help you to know about Python programming. This online course was created by David Bombal and a team of experts. Here 3k+ candidates are enrolled for this online course. Here you will learn the network programs by using the Python version 3. Students will know how to scale the network scripts and you know how to configure the network devices with Python. This online course includes the course completion certificate to everyone, 67 downloadable videos, one article, full time access and 11.5 demand video. Students will learn about the software requirements and components of GNS3, basic GNS3 network and you know the issues in windows 10 by installing the troubleshooting GNS3. you also learn how to import the Cisco VIRL IOSv into GNS3. You will know the netmiko that how to use the SSH in network automation and you people understand the NAPALM concepts like Mac address table, how to connect the NAPALM to switch and so on. Students will understand the netmiko scaling concepts like netmiko thread pools, netmiko basic scripts, multithreading, encrypted password file etc. and you know how to handle the errors, how to remove the passwords in scripts. You will learn all the basic concepts of Python such as data types, variables, numbers, strings, tuples, code structures, functions, dictionaries, lists, different loops like for loop, while loop, if logic, else logic, else if logic and so on. If you want become a complete network programmer by using Python programming language then you must join in this online course. Here 6k+ students are registered for this online course. This Network programming course was created by David Bombal and his team of experts. You will learn the network programming by using the Python, GNS3 and Cisco IOS. You will understand how to configure the Cisco switches and routers with in the GNS3. Instructors will explain about different tools like pyntc NAPALM and so on. You also understand the network automation by using Python, GNS3. This online course also includes three downloadable videos, four articles and 13 hours demand video. You will know the installation steps of GNS3 and how to configure the Cisco router, switch VLANs. Students will understand how to use the netmiko for SSH connections to switches and routers. Instructors will discuss that how effectively use the NAPALM for network automation. You will get knowledge about NAPALM concepts like ARP cache, Mac address table and you know you how to connect the NAPALM to switches. You will understand how to retrieve the BGP neighbor information by using NAPALM. You can also add the multiple config files by using NAPALM. Students will learn how to automate the networks by using pyntc, SSH, telnet, paramiko, netmiko, NAPALM. Students will come to know the uses of pyntc to retrieve the a switch running config. You will know how to save the switch running config to a file by using github and pyntc.By the pyntc you know how to configure the Cisco IOS devices. You will learn all basics of Python such as lists, tuples, loops, code structures, functions, operators, appliance of network and so on. People who are seeking for good guidance on how to write the network programs by using Python language, this network programming online course will help you to learn all the concepts of network programming. This online course was created by David Bombal and his team experts. Here 9K+ students are enrolled for this online course. Instructors will teach you how to configure the network devices by using Python. By this you can easily start the network programming with the help of Python, Cisco IOS and GNS3. By using Telnet, paramiko, netmiko,SSH, loops you can write the Cisco networks programs. You will gain the in-depth knowledge on network programming by using Python. You will know how to configure the VLANs on switches and you know how to improve the scripts and removing the passwords. Students will learn all the basic concepts of Python like tuple, data types, bitwise operators, logical operators, strings, loop control statements, numbers, identity operator, membership operators and so on. You will understand how to create switch VLAN by using loops, multiple switches, multiple VLANs and students will know how to write an efficient code and styles. Students will come to know the importance of spacings and know how to open the files, you know how to configure the backup switches, what is Jupyter python and Python Cisco switches. Instructors will explain how to write Cisco network code by using paramiko, SSH, telnet, netmiko, different loops etc. At the final stage of course students will gain certificate and this online course also includes one downloadable video, six hour demand video and lifetime access. Anyone looking for the best network programming online course, then you must join in this online course, which was created by Farhan Hussain, who is the CEO of Sonar Systems. Students will learn the functions of Python and how to write the network programs by using Python language. 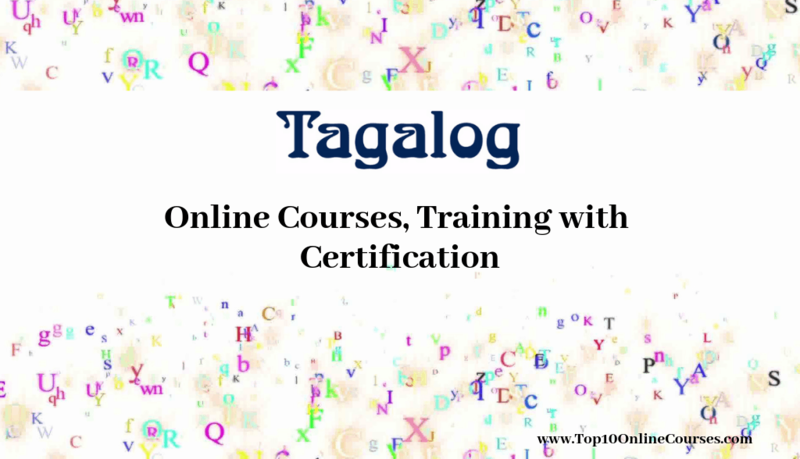 Here 95k+ candidates are enrolled for this online course. Instructors will also discuss about website programming, network programming, XML programming, application programming coding semantics, GUI programming and so on. This programming language was used by many software companies such as microsoft, google, facebook and so on. This online course also includes lifetime access with no monthly subscription, all the videos are downloadable, 13 articles. Students will know how to setup the Python on Linux, Mac OSX and windows. You will also learn all the basic concepts of Python like variable types, dictionary, tuples, arithmetic operators, different data types, loop control statements, bitwise operators and so on. You will understand the classes concepts like destroying objects, classes inheritance, overloading methods and operators, accessing attributes and you know how to create the instance objects. Instructors will explain the uses of match and search functions and you will learn the basics of CGI programming like POST method, GET method and different cookies like web cookie, browser cookie and so on. You will understand how setup the Mysql database for the Python applications and you know how to connect to the databases. Student will know different database concepts like insert operation, delete operation, read operation, update operation and so on. Students will understand the multithreading concepts like creation of threads, synchronization of threads etc. We are hoping that you people are satisfied with this online course. By taking this online courses your professional career path will increase with number of opportunities. So select any best course from the above listed courses. After this online course you will become a complete network programmer. By learning this you will get the job opportunities like software engineer, system engineer, network protocol tester, network engineer, network programming specialist, network security protocol developer, network programmer, network program manager, network programming analyst and so on. Demand for network engineers and network programmers has increased. If you like this article, then share it with your colleagues, friends through facebook, linkedIN, whatsapp. Instructors will clarify your questions, which are posted in the comment box.